Aztec is made as footwear of the future will be, using the latest technical materials to make it metal free yet exceeding the latest safety standards. The understated look of this product set off by reflective trims make it the first choice for uniform footwear that dares to be different. Polyurethane upper and sole with washable nylon lining. 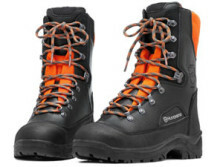 Acid, oil petrol and fat resistant outsole, antistatic, energy absorbing and insulating against the cold. 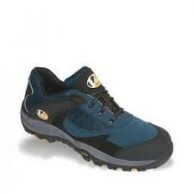 Pierce resistant steel midsole. Colour	Yellow with Brown sole Size	6-13 (Full Sizes only). Unit	Pair Other sizes may be available on request. Please contact us if you have any queries. Now metal free. Pit-stop is lighter than ever. Our number one selling trainer has a dual pod shock absorbing foot-bed, deep padded lining, rubber heel support system and a high traction rubber out-sole for your safety and comfort. 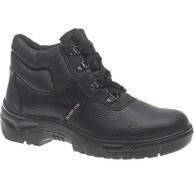 Practical safety boots, all carefully tailored to the needs and requirements that work demands. 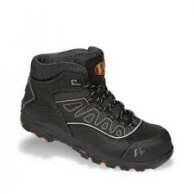 We offer steel toe cap wellingtons for best practice . 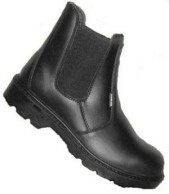 Specialist boots with heel protectors for additional safety. For those who live in their boots day in, day out, all day, every day, the perfect boot is essential. The Purofort Thermo+ is insulated down to -50°C making it the practical choice for those out in all weather conditions. Ideal for working in cold weather environments, the extra thick sole retains heat, while the deep tread is sturdy for wet areas. 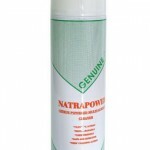 Shock absorbing and extremely durable. 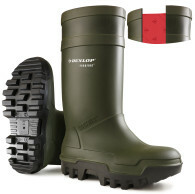 A wellington boot offering outstanding insulated properties. Insulated down to -50°C making it the practical choice for those out in all weather conditions. 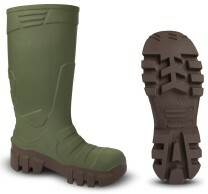 The extra thick sole unit allows the wellington to retain heat, making it more comfortable to wear in cold conditions. 200 joule EN ISO 20345. • Steel Toecap • Colour: Green • Standard: EN20345.S4.CI.SRC • Size Range: 5 - 12 Resistance: Minerals, animal & vegetable oils & fats, disinfectants, manure, solvents, various chemicals.